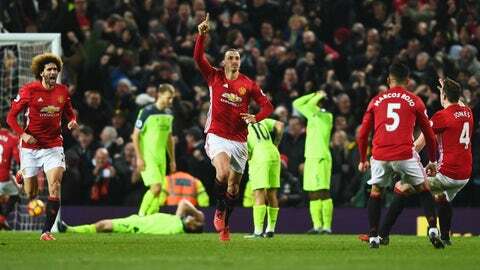 On Sunday, Zlatan Ibrahimovic’s 84th-minute goal saw Manchester United come back and rescue a point against second-placed Liverpool. The draw extended United’s unbeaten run to 10 weeks, and finally, after years of mediocrity following Sir Alex Ferguson’s departure, the Red Devils look like a real contender again. Against Liverpool, United came out to attack from the start, unwilling to allow Liverpool’s dangerous high press to pin them back in their own area. They were positive going forward, they stayed positive throughout the match, and there was no hint of the defensive mindset Jose Mourinho’s been criticized for. 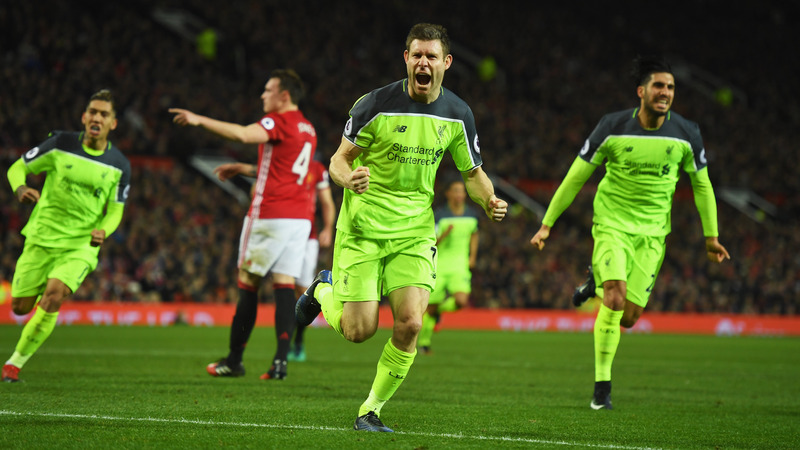 United didn’t play particularly well on the day, but it was their approach to the game that really stood out against Liverpool. Not only did they attempt to play on the front foot from the kickoff, they showed a desire to win and ability to do so that they haven’t demonstrated since Ferguson left the Old Trafford sideline. They looked the way top teams look in tough games. With Ferguson at the helm, Manchester United became famous for being a free-flowing, attack-minded side that both dominated games, or somehow found a way to rescue points when they didn’t play well on the day. Under his successors, David Moyes and then Louis Van Gaal, United transformed into a dour, negative team that scraped wins when they got them, and seemed unable to turn games around when things went against them. When Mourinho first arrived this season, United’s early performances did nothing to dispel early pessimism about his appointment. His team got off to the worst start in Manchester United history, and all the problems that plagued Moyes and Van Gaal seemed to have remained nestled in the Old Trafford rafters, refusing to budge from their new home. Since that awful start though, Mourinho’s shifted his tactics and it’s seen United go unbeaten in 15 matches. United aren’t just defending well, as is Mourinho’s trademark, they’re also playing attractive, effective soccer. With Paul Pogba running their midfield, Henrikh Mkhitaryan finally unleashed on the wing, and Zlatan Ibrahimovic settling right back into his role as schoolyard bully, the Red Devils actually look like they have the makings of a top team. Pogba largely underperformed against Liverpool, but as a whole, United looked like a team that has the ability to really challenge this year. They coped well with the intense press and attacking threat from the visitors, and still were able to play positively. They didn’t fall apart after James Milner’s penalty, but Mourinho again shifted his tactics, going route one with Marouane Fellaini and a more direct approach that eventually lead to an equalizer from none other than Ibra himself. They reacted, adapted, and had the determination and ability to secure an equalizer that they deserved on the day. United haven’t lost in weeks now, and they really look like they’ll be able to push on and secure a Champions League spot. 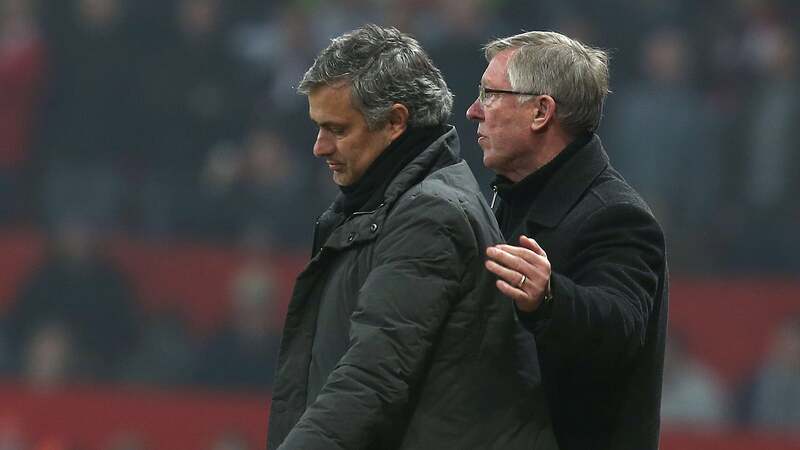 They’ve turned the corner, and the old winning spirit has returned to Old Trafford.